It's the anthology. But why? If I had to give an immediate answer, I'd go for the fact that SF anthologies often fail to get me involved. Short, conceptually driven stories work - there's no doubt about it. But sometimes emotional involvement is forgone for the science. Fantasy short stories have, on occasion, the opposite problem. Taking the view that there isn't space to develop the intricate settings the genre is known for, some stories simply take as setting - well, Fantasyland. Fantasyland as in The Tough Guide to Fantasyland: the most generic setting imaginable. Which, for a fan of original worldbuilding, isn't much fun. But the fact remains that these are problems with only a small minority - thus my decision. This year, I plan to review more anthologies (and no, I'm not signing that in blood. Or even ink. ), and I'm going to tell you why. Short stories offer experiences that novels don't, particularly when integrated into an existing setting. For me, I prefer it when short fiction is part of a setting I know. While in SF, one of the main strengths of the short story is that it can explore concepts which aren't novel-filling, in fantasy, the short story has a different advantage: most fantasy worldbuilding is intricate rather than high concept, and so short stories can often fail to give a sense of place. 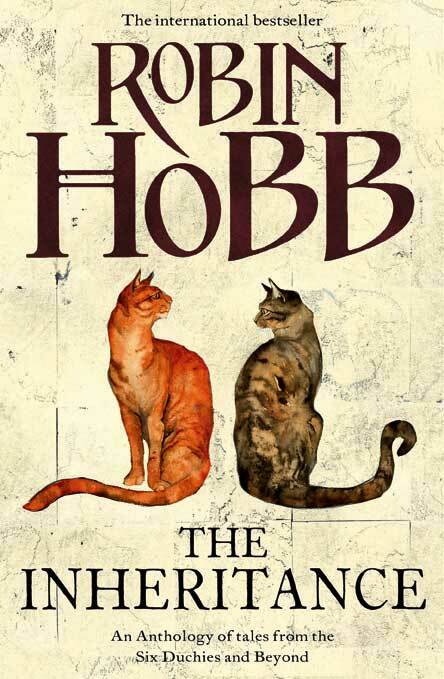 Set in a world that the reader already knows, however, is an entirely different matter. These short stories can explore plots that aren't worth novels: backstories, sideplots, and different tones from the main series. 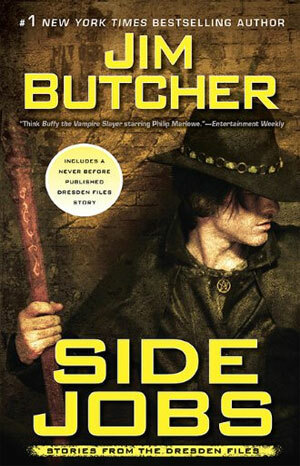 Take, for example, Jim Butcher's Side Jobs: an anthology of short stories set in the world of the Dresden Files. This particular book works very well. We don't need a huge introduction to Harry's abilities - it's assumed you've already read the main series, although there is some exposition. Instead, they focus on smaller events which are less momentous. And for me, that's good to see. Although I'll admit a weakness for a built up setting shared between several novels - for reasons I've explained elsewhere - standalones can be good as well. 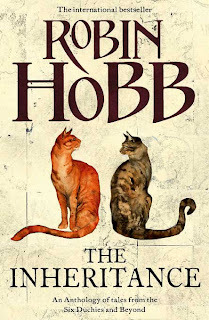 (For example, Megan Lindholm/Robin Hobb's latest collection, The Inheritance). Short stories can, in both fantasy and SF, explore shorter, not novel-suited concepts. While fantasy isn't quite as well suited for this in terms of setting, it can match SF in plot. Maybe the setting isn't so fleshed out (as long as it isn't a cliche storm. Those are unforgivable...) - but the plot, the mystery, or the character can still be wonderful. Short stories work best with the unusual, and this can still be achieved with fantasy: but far more with short fiction than book length, originality is key. But this does happen, and so I must read more anthologies. Another benefit? With shorter fiction, the author has invested less time, and the concept doesn't need to hold a book - or even, necessarily, all of their fanbase. This means that short stories do take more risks. They are, in other words, at the cutting edge of the genre: where new ideas often come first. Also: there is a really lovely steampunk anthology I have my eye on. It has airships. What other reasons can I require? Not many. An admirable goal! I've always read and reviewed a lot of anthologies, and unlike you, I actually prefer original stories as opposed to ones set in an existing setting. Whatever the case, I find that short stories give me a completely different but equally rewarding reading experience, when compared to novels. I often pick at anthologies over a longer amount of time, reading one or two short stories per day. That way it doesn't take over your entire reading time, but you can still read and review many of them. Maybe something to consider! If it's SF you want, a great recent anthology you could take a look at is Lightspeed Year One, which collects all the short stories that appeared in the Lightspeed online magazine during its first year. If you enjoy dystopian SF, the Brave New Worlds anthology by JJ Adams is one of the best antho's I've read in years. Lightspeed Year One? I'll have a look for that one. Thanks for the recommendation. I'm interested in reading anthologies outside SF, as well though: the short stories I read generally tend to be SF only, which is something I'm looking to change.